The royal couple have lived through so much together during their reign, seeing the country and the world change, but another thing that has probably changed a lot in the last 70 years is the face of marriage. The longevity of their marriage is a testament to their unconditional dedication to each other, and their shared passion of their duties to the peoples of the United Kingdom and the Commonwealth countries. The royal couple have come to represent a model example of traditional values of marriage, their devotion to each other resilient and unwavering through turbulent times. The Queen famously described Prince Philip as her ‘strength and stay’, a tribute which can be equally applied to the Queens reign, as they have provided their country with stability and consistency throughout their time as Queen and consort. 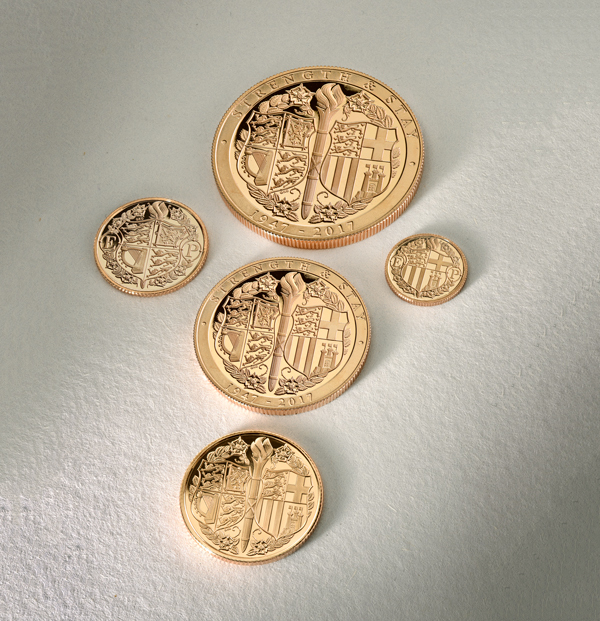 To mark this milestone in British history Tower Mint have struck a special limited edition Sovereign collection depicting the personal coat of arms of HM Queen Elizbeth II and HRH Prince Philip. Issued by the Government of Gibraltar and struck in sovereign denominations (1/4, ½, 1, 2 and 5) the collection celebrates this major royal anniversary however this is not where the milestones end. 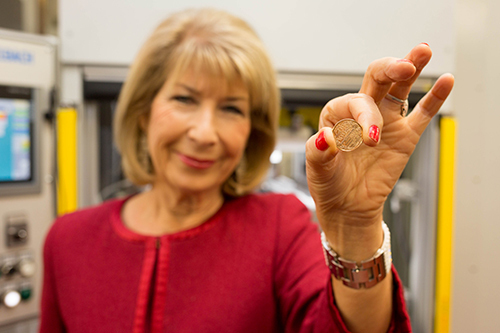 By special request BBC journalist and Royal correspondent Jenny Bond was invited to Tower Mint on behalf of the London Mint Office to initiate the striking of the first strikes. 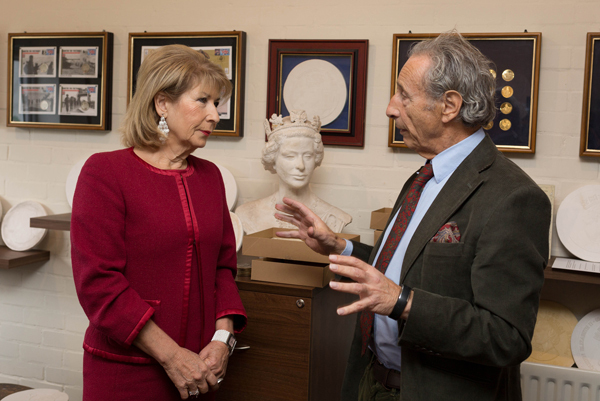 Pictured: Raphael Maklouf welcomes Jenny Bond to the Mint and is discussing the history of Tower Mint. 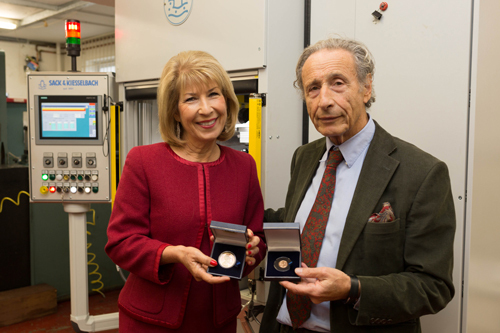 Below: Jenny Bond pictured with Rhys Williams from the London Mint Office and Raphael Maklouf pictured presenting the newly struck Sovereign as minted by Jenny Bond. For further information on the Platinum Wedding Sovereigns please visit www.londonmintoffice.org.